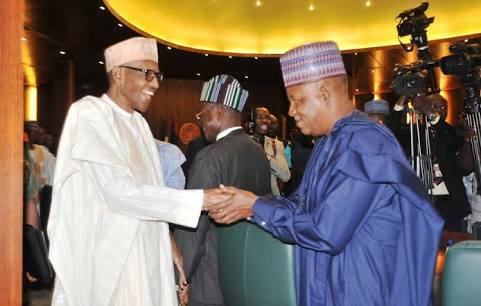 Former President Goodluck Jonathan on Friday faulted the Presidency and the Borno State Governor, Kashim Shettima, for their attacks of his personality based on parts of his book, “My Transition Hours,” they found uncomplimentary. Jonathan, had in the book which was presented to the public in Abuja on Tuesday, indicted Shettima for alleged negligence in the events leading to the abduction of Chibok schoolgirls in 2014 and also claimed that his administration fought corruption better than the present administration. The book drew the wrath of the governor who described it as an elementary book of fiction while the Presidency urged Jonathan to stop playing the ostrich. The former President, however in a statement by his Media Adviser, Ikechukwu Eze, on Friday described the reactions that have trailed the book as a comprehensive plan to discredit it. On the Presidency’s reaction, Jonathan’s spokesman said the Senior special Assistant to the President on Media and Publicity, Garba Shehu, towed a “revisionist path” when he claimed that Jonathan’s anti-corruption records could not be substantiated. He said rather than grandstanding, the present administration should understudy the success nuggets of previous administrations. He added, “Nigeria’s best ranking in TI’s corruption perception index still remains her placing in 2014, under President Jonathan, as the 136th out of all the countries ranked. “This is far better than the last position recorded under the present government where Nigeria was ranked as number 148, a decline that took the nation 12 places backward. “Rather than continue to raise a false banner of piety which apparently is no longer working, this administration would have served itself and the country better by understudying the success nuggets of its predecessors. Eze said there was no doubt that Jonathan provided focused leadership on the economic front, through institutional and sectoral reforms which impacted positively on the fundamentals for growth. Eze added, “Again, I urge them to bear in mind that no economy thrives where corruption is either rife or being concealed. So, those who rile and snap at Jonathan because he presented his scorecard in a book should provide their own numbers and statistics to counter his claim. Eze said the governor had in the past four years, been living in denial and towing an evasive path he has beaten for himself. He said, “What the governor may not know is that he is only walking the path of a villain. “Once demand is made on him to explain why he deliberately ignored both the directive of both the Ministry of Education and the West African Examinations Council for governors to keep candidates in the affected locations out of harm’s way by relocating them to safer areas for their exams, he goes asking for the release of the report of Gen. Ibrahim Sabo-led facts-finding committee set up by President Jonathan. 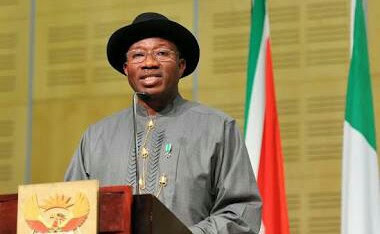 “He probably thinks that challenging former President Goodluck Jonathan to publish the findings of the committee which, in any case, he is privy to, is a smart way of hiding his lapses. “If it was bad enough that ignoring the directive meant deliberately exposing the girls and other school children to danger, it was utterly reprehensible that when the girls eventually got kidnapped the governor refused to cooperate with the Federal Government during the search and rescue efforts.